First published The Drinks Business 12 August 2015. 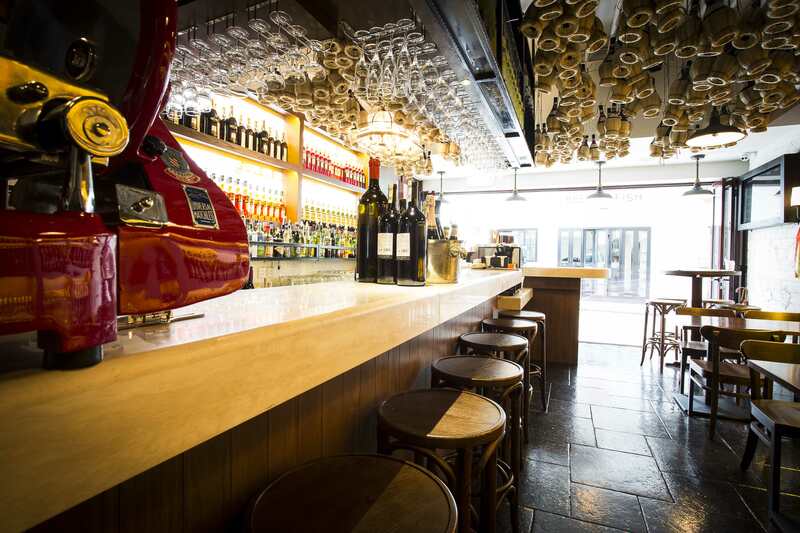 Hong Kong is currently basking in beautifully sunny summer weather so the recent arrival of Italian bar Stazione Novella to the hustle and bustle of Soho on Hong Kong Island is a welcome sight. As the title suggests Stazione Novella is modelled on the bars frequently found in and around the train stations of Italy. The atmosphere is relaxed and welcoming where guests can stop by for a refreshing cocktail and a bite to eat or they can settle back at one of the tables and enjoy a bottle of wine whilst sampling the tasty treats on offer. The inspiration for Stazione Novella comes from direct experience of Italian hospitality and generosity. As the story goes, after having his pocket picked shortly before boarding a train in Italy, Co-Founder and Managing Partner Christopher Mark, found himself stuck waiting in the station until funds could be wired for assistance. Whilst waiting a local man approached him to enquire if all was well and after learning of Christopher’s predicament, the local gentlemen promptly relocated the two of them to one of the little bars around the train station for Panini and refreshments until said funds arrived and a train ticket could be purchased. The memory of such kindness and delicious yet unpretentious food was key to the creation of this new venture. 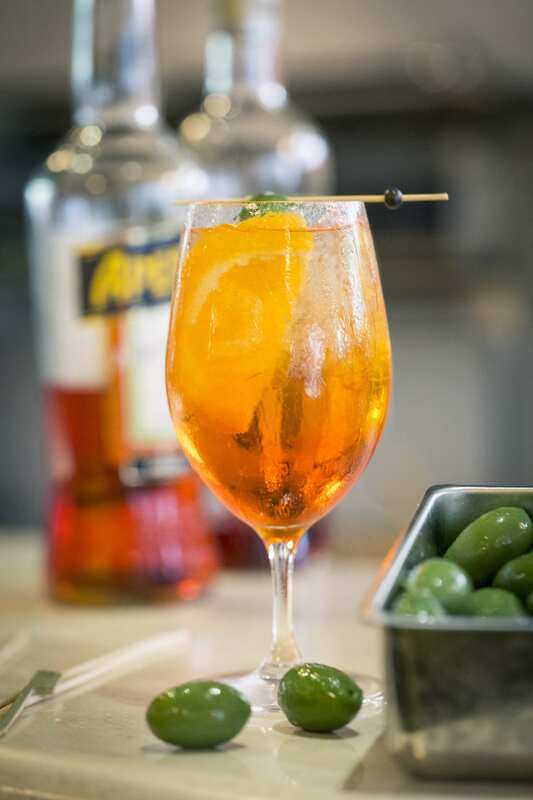 After being seated we began with an Aperol Spritz – the salty green olive and sweet orange flavours proved just right for the warm summer evening. After reviewing the menu we decided on a selection of bruschetta and a bottle of Chianti. The bruschetta are offered as a single bite or as 3, 5 or 7 pieces depending on how hungry you are or how large the group is. 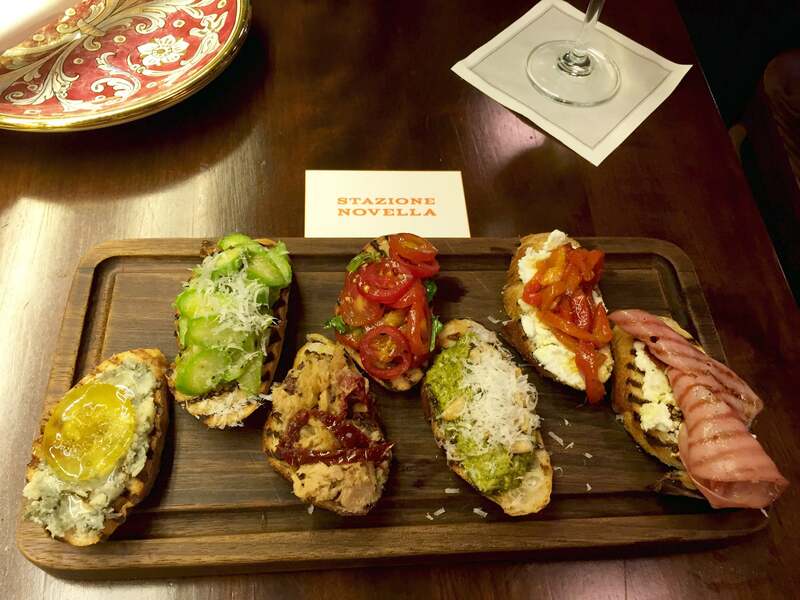 When our bruschetta selection arrived each was beautifully presented and absolutely delicious, while the Chianti was a fitting accompaniment for the food and ambience of the bar. 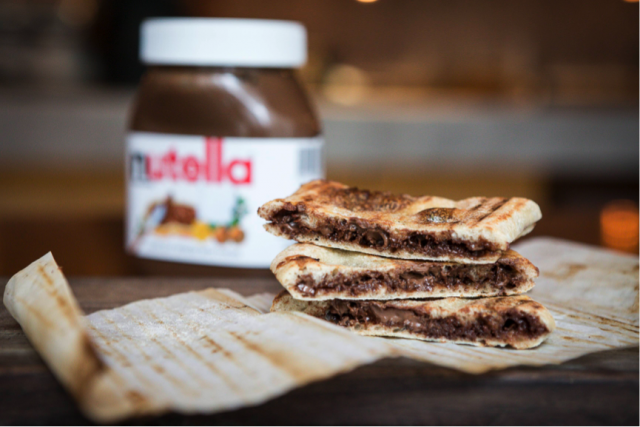 Also available is a wide range of Panini for a more substantial bite including a dessert option, the Nutella Panini, or perhaps the quintessential partner to morning coffee? Stazione Novella is open from early until late offering coffee, freshly squeezed orange juice and a range of pastries for breakfast, as well as that Nutella Panini, and on through to a range of thirst quenching beverages and flavourful bites for later in the day. The only challenge is to how to stop at one bruschetta or Panini when there are so many more to tempt you!